To solubilize fragrance oil into water based products. Final product is cloudy. Lotions. Creams. Scrubs. Hair Conditioner. Allows oil to bind with water. Depending on your formula, your end product may be cloudy. Solubility: Soluble in Water and Oil. COMMENTS: Without this product my shampoos and conditioners would always separate later. Now this poly 20 has been a life saver or rather a product saver. Thank you WSP!! COMMENTS: I used it with witch hazel and essential oils and it worked perfectly to disperse my oils! COMMENTS: A must-have for body and face product DIY. COMMENTS: I was having a horrible separation problem with my body wash and this fixed it up perfectly! It didn't cloud my product at all. COMMENTS: Perfect for mixing with colorants for bath bombs. I premix my colorants with this and it saves time. Helps distribute color very well in the tub. nothing sticks to the side of the tub. love this! "Took my Body Spays to the next level." COMMENTS: I love this product. I use it in my body sprays and bug sprays. No more separation. "Repeat Buyer of Polysorbate 20"
COMMENTS: Been using this WSP polysorbate for years. A must to blend fragrance oils is many products. Always fresh! "perfect for mixing EO's and water/aloe gel"
COMMENTS: I love this to blend my essential oils and liquids together. No more separating or clouding u. !!! Thank You WSP ! COMMENTS: I use this product in my room and linen sprays, and I LOVE that it makes the spray turn white! I use clear bottles to show it off. When mixed properly, you really don't need to shake them much before using, which is convenient! COMMENTS: The quick shipping along with the great quality and price, brings me back to WSP to buy Poly 20 every time. COMMENTS: Works great in my body spray recipe! COMMENTS: This makes my body spray light and well mixed. I dont even need to shake my bottles often. COMMENTS: I use poly 20 in my bubble frosting and it works great! I switched when I ran out of poly 80 and gave it a try, hoping that it would work and it did! COMMENTS: This definitely aided in mixing of oil and water. It does make the product milky though. COMMENTS: This product is very easy and straightforward to use.The formula is clear and odorless, and I have not found that I need to make special adjustments to my products when using this. I use for my facial spritz which combine aloe with essential oil. Using this eliminates the need to shake the product before using, giving a more professional result. This does make my product cloudy, which is not an issue for me. COMMENTS: Use it to make lotions and body sprays. Can make product slightly milky/cloudy but I use dark bottles so it generally doesn't matter. COMMENTS: Makes final product too milky. COMMENTS: I use this to make my room sprays. Quality is very good, works very well. Product does stay cloudy with some fragrances, so I just use black bottles. Easy peasy! COMMENTS: Good stuff. I use this in all my lotions. I find it helps strebghthen the e waxes job. 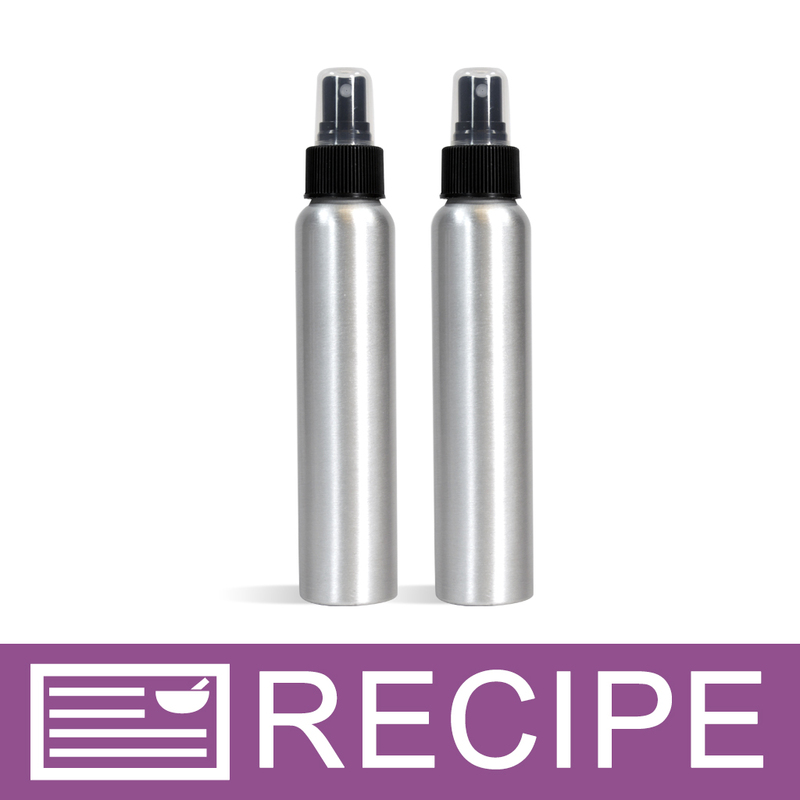 "Great Service & Great Product"
COMMENTS: Works perfectly for making our sprays. Would recommend to everyone. COMMENTS: Use it for large batches of soap product! More economical and effective than the fragrance modifier. "Perfect for all products "
COMMENTS: This bound the ouls and water in my homage products well. I didn't even notice it being cloudy bc I used in cream based formulas! Another great WSP product! COMMENTS: I use this when making perfumes and it works nicely. COMMENTS: I had never used this before, but what a huge difference !!!! COMMENTS: This is a life saver for many products!! I use this with my FO/EO for most water based product I make to alleviate separation. It takes a bit of trial and error to determine correct amount to add, but well worth the time in the end! COMMENTS: This product was true to it's description. A little does go a long way. Mixed well with a fork, stirring slowly as to not get air into the shampoo or body wash. Highly recommend. Will purchase again. COMMENTS: I use this in my body sprays and it works great! COMMENTS: This is perfect for all handmade products requiring polysorbate. Great price and excellent quality !!! COMMENTS: I use this product in making my Poop Sprays...Spray the bowl before you go , so when you poop , only you will know. Works like a Charm...Love IT !!!!!! COMMENTS: I bought this to use in my sugar scrubs to keep the yuckies from growing. The only downside to this product is the price. It has not irritated my skin at all (I don't have sensitive skin type). "good as a preservative, also as a thickener"
COMMENTS: good for thickening products that don't have to be clear such as shampoos, shimmering body washes, and conditioners. great for lotions too! COMMENTS: Works well to incorporate oils, and even clears up some fragrances that cloud. COMMENTS: I've used this product to help bind essential oils to my water-based products. Works quite well. I have not had any separation. COMMENTS: Great product and price. Nice to have on hand. COMMENTS: Used to mix EO with witch hazel. Will make product cloudy but does an excellent job keeping products mixed. COMMENTS: Works great in my body sprays. It makes my finished product white and milky which customers love! No scent and it doesn't irritate my skin. "A must have staple item"
COMMENTS: I use it regularly...works great! Cheaper here than I have found elsewhere! COMMENTS: I use this in all my liquid soaps. I've never had a problem with clouding with this product. Makes my fragrances and essential oils incorporate into the base very easily. COMMENTS: Love this for my body splash and body wash! COMMENTS: No more floating FO/EOs at the top of my liquid soaps or bubble baths anymore or having to tell customers to gently shake product to re-distribute the fragrance throughout the product. "As a 1st Time user..."
COMMENTS: As a 1st time user of this product, I must say, I enjoyed the results of the products I incorporated it into; room sprays, lotions and CP & CPOP soap. The scent (FO &/or EO) really seemed 'fixed" into the products. Even after three weeks of use in my cp & cpop soaps, the scents still remain. Thanks for a reasonably priced product that does the job of binding scents into products. COMMENTS: I adore this product!! I don't mind the cloudiness at times from some of the FOs !! This is a main staple for me! COMMENTS: I make body sprays and was tired of the oil floating to the top. This is the perfect solution...I use it 1:1 and I've never had any issues or problems with it. COMMENTS: This is absolutely WONDERFUL! It makes it so easy to incorporate oil and water bases! I have never experienced an issue when I use the Poly. "It's a solubiliser, plain and simple." COMMENTS: If you want to add something to your shampoo that disables cloudiness and thin foam from rising to the top, add a few milliliters of this baby into it. I buy tons of it. COMMENTS: A must have for everyone's supplies while making shampoo, creams or anything with added oil ingredients! I use as a 1:1 ratio. It has no smell and just helps. Bind oil based ingredients when using a water base products. I use this all the time. It is priced really well, expecially compared to other sites! Will order again and again and again. COMMENTS: I used this in the luxury mix to incorporate my FO into it. My FO is very heavy and I'm surprised at how well this works! Used as directed 1:1 with FO and am very pleased! Thanks for such a great product at a great price! COMMENTS: This is the best price for polysorbate 20. It's a great emulsifier and easy to work with. I don't mix 1:1 with oils though and it still mixes beautifully and keeps my product together. COMMENTS: Used to make body spray. I used a little less than the instructions called for and it worked perfectly. It clouded the mixture but that's okay since I use aluminum bottles. Very pleased! COMMENTS: This product is great when creating body splashes or any product with lots water added. It dissolves the oil so it can mix into the water without your product's fragrant oil floating in the product. I use it in my bubble baths, shower gels and hand soap. its also very econimical to use because you use so little of this product..just add equal amount of polysorbate and fragrant oil..wonderful product. COMMENTS: Works well to incorporate oils, and even clears up some fragrances that cloud body wash bases. 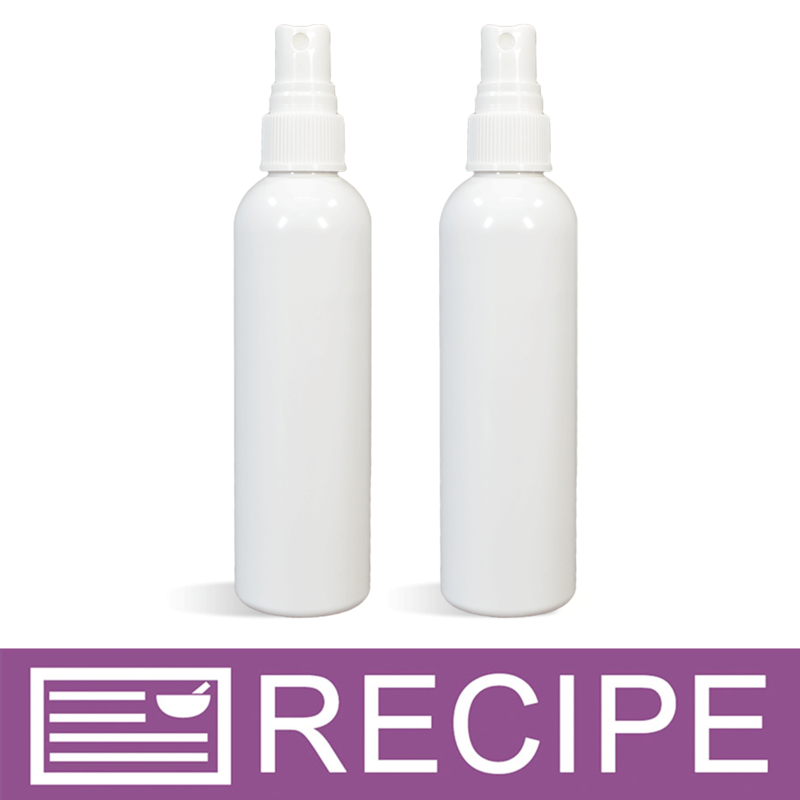 COMMENTS: Worked great in my Lavender EO Linen Spray 2:1 PS 20-Lavender EO. Spray Was Very Clear! "can Polysorbate 80 be substituted for this? If so how much less would I use? I already have the 80 and just wondering if it can be used in your shampoo recipe." 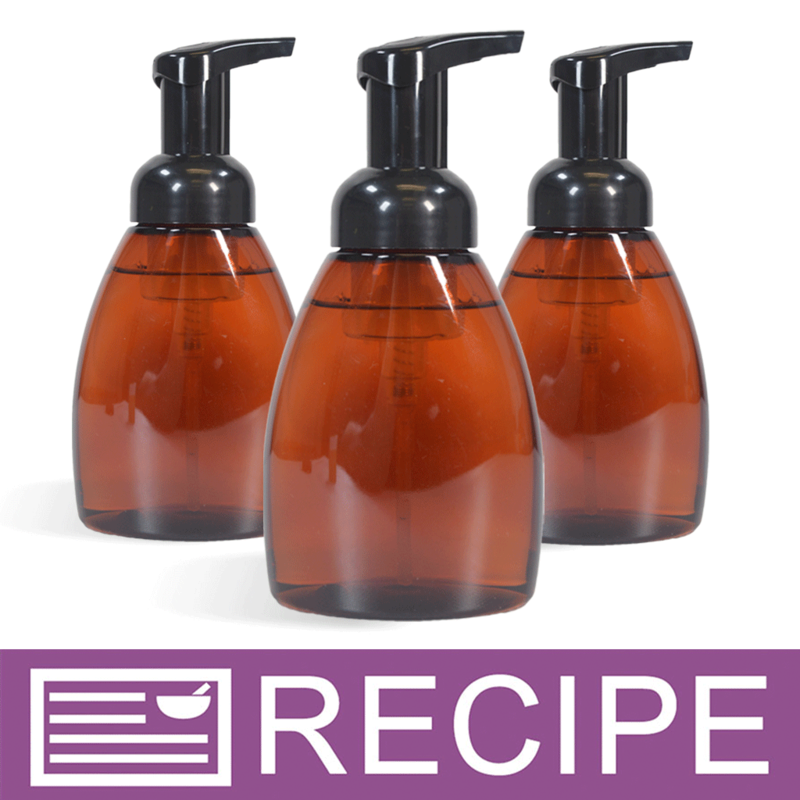 Staff Answer Polysorbate 20 is for incorporating fragrance/essential oils into water-soluble products. Polysorbate 80 is used for solubilizing heavier oils, such as fixed oils, into water-based products. You will need to test the poly 80 in your product to see how it performs. "Can I list this mixed with EOs simply as "fragrance" on my labels as with the EO/FO Modifier or do I need to list "Polysorbate 20" and the EOs?" Staff Answer You would need to put Polysorbate 20 on your ingredient label. "Hello, if I want to mix essential oils with witch hazel instead of water for a spray, would I still need to use this to make sure everything stays together? Or is this only effective for water?" Staff Answer Poly 20 is mainly used for water based products. You may not need to use this with witch hazel but this is something you will need to test. "If I want to make body mist.so I add polysorbate 20 with the fragrance oil same ratio then mixed with distilled water so please what the actual percentage to add in body mist"
Staff Answer You would mix equal parts of the Poly 20 with your fragrance then add this to your distilled water. We recommend 1-2% fragrance for your Body Mist. For 16 oz. of water, you would add between 5 ml-9.5 ml mixed with an equal amount of Poly 20. 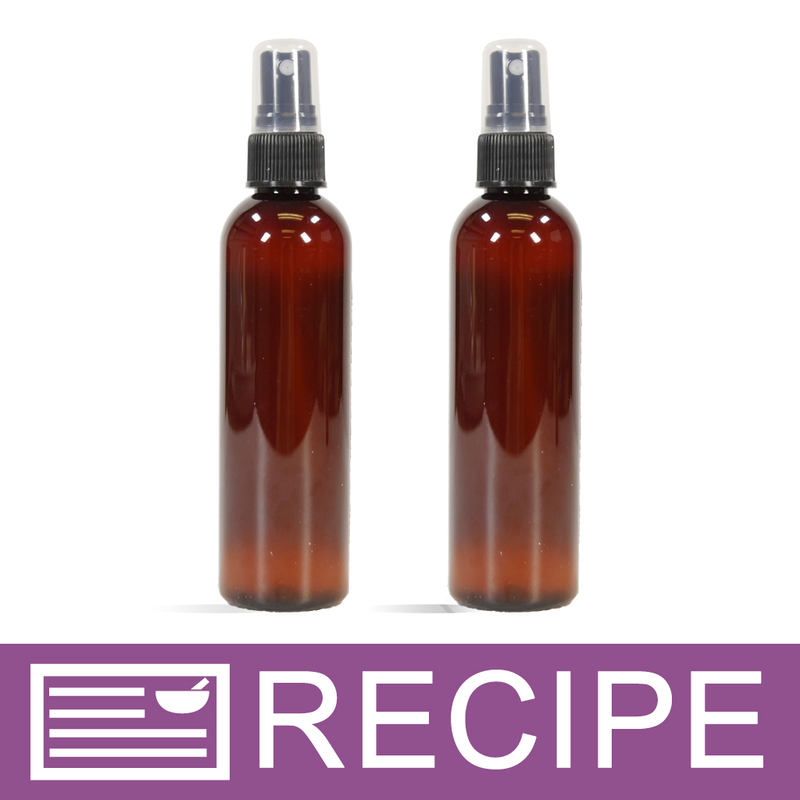 "Second time I have used this to make facial toner, the oil I am using is rosehip seed oil. I did a 1 to 1 ratio oil vs polysobate 20 and it still is separated!" Staff Answer Polysorbate 20 will help lighter oils like Fragrance Oils and Essential Oils mix into a water-based product. It would most likely not work with a carrier oil like Rosehip Seed Oil. I believe Rosehip seed oil is a carrier oil. polysobate 20 is recommended to bind E.O and or F.O. 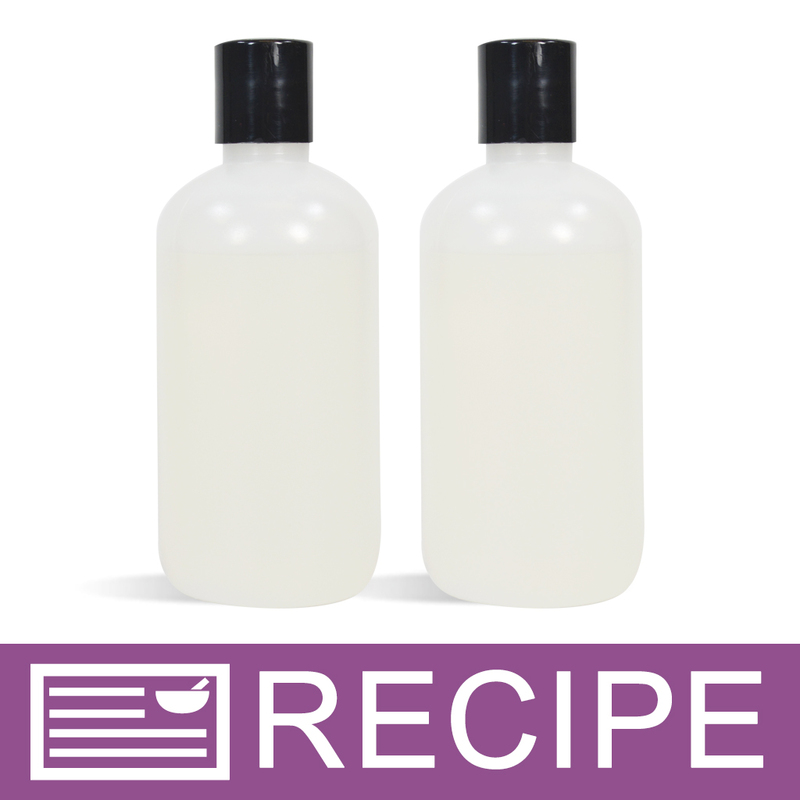 to a water base recipe, the polysobate 80 is for a mixing a carrier oil into the water base product. I hope this helps. "What is the correct usage rate in facial toner?" Staff Answer You would mix equal parts of the poly 20 with your oils. "Would this be considered vegan?" Staff Answer Because our vendors do not consistently use the same source, we cannot commit to one or the other. We cannot state that this is or is not vegan. "can this be used to help stop separation in liquid laundry soap"
Staff Answer You can certainly try this. It is meant to bind oils and water together so should help with your product. "If I claim that my products are phthalate and paraben free can I add this?" Staff Answer Polysorbate 20 is phthalate and paraben free. "If I'm not concerned about my final product being cloudy, is there any benefit to using your FO/EO Modifier versus Polysorbate 20?" Staff Answer Both products will work equally as well for modifying oil/water based products. "What is the difference between this product and your FO-EO Modifier? Their desciptions seem similar and I'm not sure which one is better? What are their differences? I am mixing fragrance oils into a water based liquid soap. I have had problems with it separating and am thinking one of these products could help, not sure which one would work better." Staff Answer The modifier we stock keeps the product clear. Polysorbate 20 sometimes keeps the product cloudy. "Can you use this to mix water soluble product into oil mixture. I keep seeing it used for missing oil into water but I need it the other way around. If not this, then can you recommend something. Thank you"
Staff Answer Although we have not tested our emulsifiers in an oil-based product and adding in a water soluble product we would recommend testing Polysorbate 80 to emulsify your product. "Can I use Polysorbate 20 when I make my bath truffles so that it reduces the "slickness" residue in the tub?" Polysorbate 20 is commonly used when bonding FOs & EOs to a water-based product. Polysorbate 80 is more often used in bath products. Polysorbate 20 may work to reduce the slickness in the tub, but we have not tested it for that purpose. We recommend testing in a small batch to see if it will work. "What is the different between polysorbate 20 and 80? I have a recipe I would like to try for bath bombs that requires the 80 but can't find it available to purchase on your site?" Staff Answer Hi Melissa, Polysorbate 20 is used to emulsify fragrance or essential oils in water. Polysorbate 80 is used to emulsify carrier or more heavy oils in water. I hope this information helps! "How would I use this product if I was interested in creating an spray air freshener? Would I mix the Polysorbate 20 with distilled water and FO; if so, in what quantities? " Polysorbate 20 can be a replacement for an FO & EO Modifier. You can Click Here for one of our Room Spray recipes for inspiration. Please note that Polysorbate 20 may cause your final product to cloud depending on your recipe. 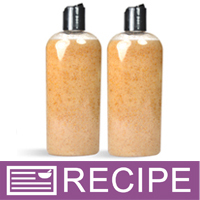 "I would like to add oils to Head to toe base to make a Massage Lotion. Would the polysorbate work to keep oils from separating from lotion? " This Head to Toe Lotion Base accepts most oil & water additives up to 5% of the batch. Polysorbate 20 is typically not needed for this base, but may be used if you are having separation issues. "Where are the directions for using this?" Staff Answer The manufacturer has not provided specific instructions for this product. I would recommend beginning with a 1:1 ration. If your product is still cloudy then you can increase the amount of Polysorbate 20 until your product is clear and the fragrance is fully incorporated. "Can this be used the same way as Polysorbate 80? Is there a difference between the two?" It's used in the same way. Polysorbate 20 is great for smaller amounts of lighter oils, like FOs. Polysorbate 80 is great with (for lack of a better word) "bigger" jobs It's more suited to carrying a larger amount of heavier oils. I usually use polysorbate 20 to emulsify fragrance or essential oils in water, and use polysorbate 80 to emulsify carrier or more complicated oils in water. That being said, I have a big bottle of poly 80 that I need to use up, and I use it with essential oils and it works very well. "Would this product work to mix EO, FO and jojoba oil with your aloe vera gel product?" Staff Answer Theoretically this should work. You will need to test your specific formula. "I attempted to make a scented liquid goat milk bubble bath with goat milk powder, fragrance and other oils and your liquid bubble bath and got three distinct layers. Is this the ingredient I'm missing to uniformily combine all my ingredients? " Staff Answer Polysorbate 20 is intended to assist lighter oils bind with a water based product. Certain carrier oils may be too heavy for this product. You will have to test with your specific formula to ensure compatibility. "What percentage do you use in the batch?" Typical percentage of use is 2-10% or a 1 to 1 ratio. "Can I use the polysorbate 20 in place of the fragrance oil modifier? I don't mind if the product is cloudy, so is this a suitable replacement?" Staff Answer If you do not mind that the final product could be cloudy then Polysorbate 20 would be a good replacement. This product also allows oil to bind with water. "Can i use this in sugar or salt body scrub? example: sugar/salt, coconut oil and f/o body scrub. " Staff Answer There should not be a need for the Polysorbate 20. This product allows fragrance and essential oils to bind with water based products, and the ingredients you listed do not contain any water.